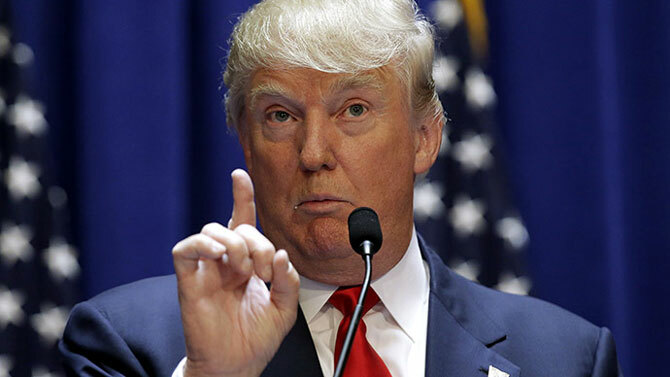 Describing the World Trade Organization as a "disaster", Republican presidential nominee Donald Trump has threatened to pull out of the global trade body if it interferes with his plan to impose penalties on companies that move American production offshore. "We are going to renegotiate or we're going to pull out. These trade deals are a disaster. World Trade Organization is a disaster," Trump told NBC's 'Meet the Press' on Sunday, his first since being named as Republican presidential nominee. The 70-year-old billionaire has been an opponent of multilateral trade deals and has said that he would review all of these trade deals and would enter into individual trade deals with countries. Trump believes that these trade deals have resulted in jobs being shipped out of the United States. Companies moving their manufacturing base out of the US during his administration would have to face consequences, he said, adding they would have to pay a hefty penalty for this. "It could be 25 per cent, could be 35 per cent, could be 15 per cent. I haven't determined. It could be different for different companies. We have been working on trying to stop this government because we don't know what we're doing," he said in response to a question. Trump said the Cleveland convention of the Republican has united the party. "It really feels great and we really have a very unified party other than a very small group of people that frankly lost and we have a very unified party. You saw that the other night with the love in the room and the enthusiasm in the room. The enthusiasm, there are people that say they have never seen anything like what was going on in that room, especially Thursday night," he said.